A source dedicated to background checks, Form I-9's, drug testing, assessments and compliance. 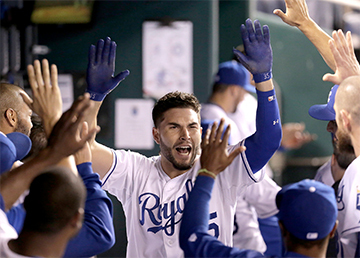 With the euphoria brought on with the success of the Kansas City Royals the correlations abound between their journey and the hiring decisions they made to enable their success. Business leaders would be well served to compare the Royal Hiring with their hiring practices. It’s really easy to assemble a bunch of stars or individuals who don’t care about anything but their own achievements; it’s a lot harder to assemble people who are willing to learn, willing to work with o thers, and willing to do whatever it takes to win. A highly functioning team is not only about talent, not only about organizational support, not only about leadership. Yet, it includes each of these things. In baseball and business, success starts with assembling good people. There’s no way around this. If you don’t have the right people, you’re not going to succeed. 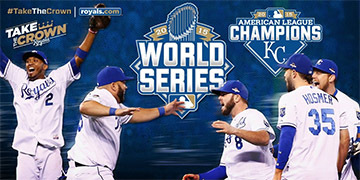 Consider the Kansas City Royals, who hasn’t had a perennial All-Star player for decades, and has had one winning season since the 80’s. They built success through creating their targets and used these for their template for identifying people and selecting players that met these criteria. The challenge is not only to find good and great people, but to define who the right players are for your team. Just because someone performs well at one organization doesn’t mean they will in another place with another culture and approach. As longtime Baltimore Orioles manager Earl Weaver put it, “A manager’s job is simple. Just pick the 25 best players for what he wants done“. For the Orioles, finding the right players meant finding players who could play a variety of positions in the field, which allowed him to employ a more situational, opportunistic style of baseball. It’s not the only style of baseball, but Weaver worked it on the way to a World Series championship with a decade’s worth of very competitive teams. Today’s baseball executives evaluate players and positions with much more sophistication with multiple views. They look for players who perform well in situations and environments that match their needs. You can do the same, if you’re looking for a lead developer who can work across multiple product managers and teams, you’re going to need someone who can consult, cajole, and sell as well as they can produce. The point is: Don’t go after a big bat if what you really need is someone who gets on base. Get real about what’s going to be needed to be successful in the role, and beware conventions and role names. If you’ve ever tried to hire someone, you know how tempting it can be to use your gut: “Hey, she went to Princeton, so that must mean …” Unfortunately, this method is doomed to failure. Regrettably, there’s no supermetric version of a person’s career performance on LinkedIn. How do you know if you are hiring the right people? Research at Harvard supports the priority of matching people to roles based on critical aspects of fit – fit with the job, fit with the manager, fit with the team and fit with the organization. Conversely, the factors picked up by the traditional hiring process – an individual’s experience, educational qualifications, and credentials – have no bearing at all on future productivity or success. Establishing Job Fit by identifying and quantifying the critical success attributes of a role, allows organizations to increase the success rate of hiring and promoting future high performers by up to 300%. So, what can you do to get beyond the traditional ways of evaluating talent? Do you have a clear hiring strategy? Have you identified the attributes you need to hire to help you reach your target? 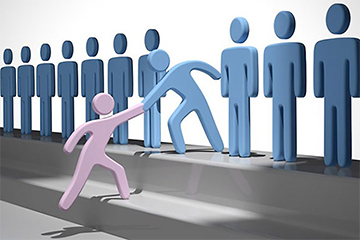 National Screening Bureau helps organizations hire people with superior effectiveness because of dedicated teamwork and following sound processes resulting in successful hires. If you have any need or questions about hiring, please call myself or anyone on my team at 316.263.4400 or visit us online at www.natsb.com. This entry was posted in Uncategorized by natsb. Bookmark the permalink.